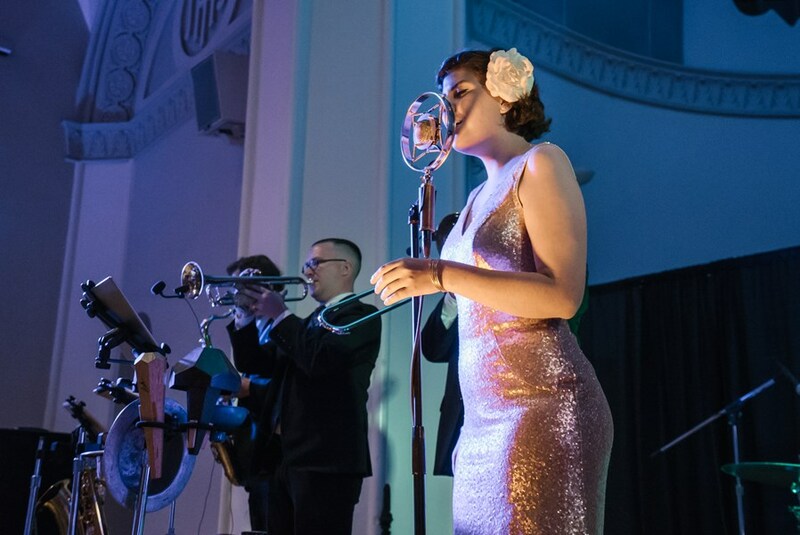 Joe Smith and the Spicy Pickles Jazz Band is a Denver-based vintage jazz band devoted to revitalizing swing music and dance. 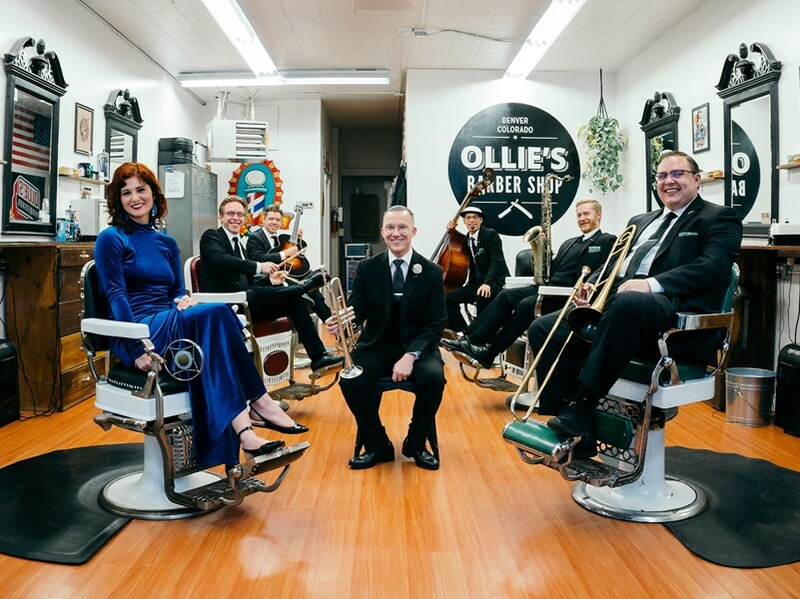 This small group style band packs a punch of power, personality, and wit into each show, intriguing generations new and old with the beloved charm of big band swing from the 1930's-1940's. This nationally touring group plays 100+ shows each year across the US. The Spicy Pickles have recorded two full length albums, and 2 EP's to date, with their third full length studio album Gin & Moonlight scheduled for a September 2017 release. 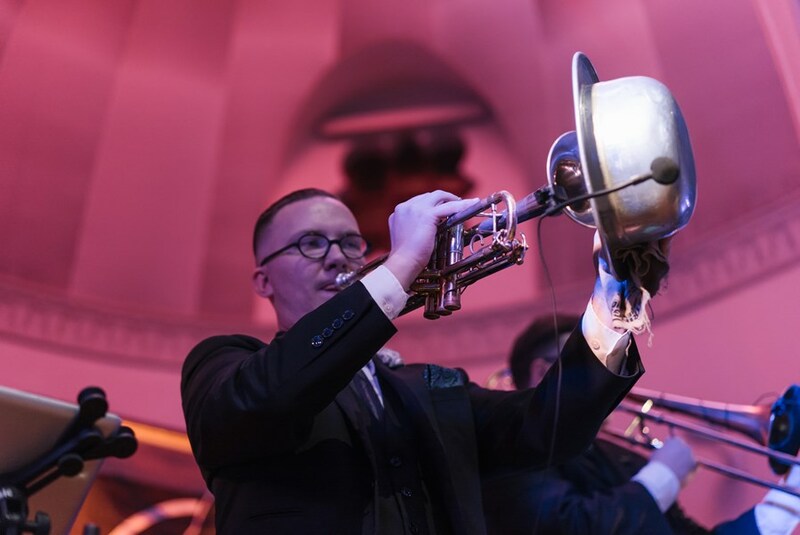 Joe Smith & The Spicy Pickles has played at jazz festivals and concert series across the United States, and in 2017 alone, has opened for Big Bad Voodoo Daddy and Davina and the Vagabonds. The band's 2014 music video "Movin' Groovy" won 1st place at the Seattle Jazz Dance Film Festival. Their original music has been used in commercials internationally, including Leo Vegas (Sweden) and Visit Seattle (USA), and they have recently had music placed in major motion picture The Killing of a Sacred Deer directed by Yorgos Lanthimos that won best screenplay at Cannes Film Festival 2017. Joe Smith & The Spicy Pickles is an endorsing artist for Ear Trumpet Labs microphones, Northeast Drum Company, Earthtone Drumheads, Bosphorus Cymbals, and EARasers Earplugs. Joe Smith and the Spicy Pickles were absolutely outstanding. We received so many compliments about them. Very professional, and so talented! Everyone loved them. I highly encourage anyone thinking about booking them to just do it, you will not be disappointed! Thank you all for making our event extra special. This was THE highlight of our wedding. We still continue to receive compliments on the band. They played acoustic for our cocktail hour and moved into the reception area for the formal dances. Wonderful music, very professional and overall just a fantastic experience. I cannot say enough great things about these talented group of people. Worth every penny. Please note Joe Smith & The Spicy Pickles will also travel to Lakewood, Aurora, Englewood, Wheat Ridge, Westminster, Dupont, Commerce City, Arvada, Littleton, Broomfield, Golden, Eastlake, Henderson, Highlands Ranch, Morrison, Idledale, Indian Hills, Kittredge, Louisville, Lafayette, Louviers, Brighton, Evergreen, Parker, Boulder, Eldorado Springs, Watkins, Erie, Dacono, Conifer.